it is cold here, last night it dropped to almost -10 C, and today it has probably got to about 2 C! I know there are plenty of you out there who would probably laugh in the face of that, but not me! now some of you may not be very excited by this, but it is very very exciting for me! I love Inspector Morse, and when I worked in London, I had the honour of being able to supply equipment to the shoots and meet the crew. Getting this is fab, and I can’t wait to watch all 49 and a half hours! I also got some packaging supplies that I have ordered over the past couple of days. 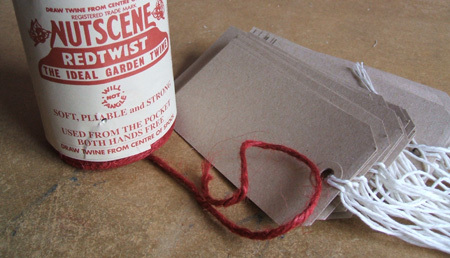 Very nice red soft twine, and some great buff cardboard labels for me to use from now onwards, I’ve also ordered some more red tissue paper. So now to finish some stuff to be wrapped and sent! Oh, happy birthday! I LOOOOOOOOOOOOVE Inspector Morse. I read all the books and saw all the shows. I know you will enjoy your nearly 50hrs of mystery goodness. 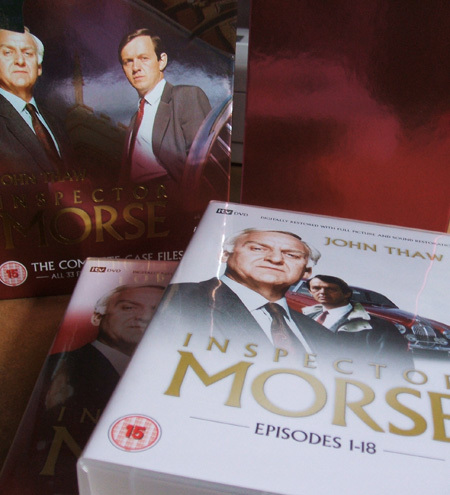 I love your Inspector Morse packshot…very classy. That twine looks so soft and yummy! Enjoy the show! Where did you get the labels from? I’ve been after some myself but the ones at the local post office are a bit expensive. I would be thrilled to get those DVDs as a gift too. I loved Morse and watched every episode.